Napoleon once stated that, “Quantity has a quality all its own.” While he was speaking of artillery, the same is true of writing. The more you bleed out onto the page, the more wrong turns and reconsiderations you make during the course of an extended writing process have their own intrinsic value. The Iowa Writing Workshop put out an anthology years ago entitled The Eleventh Draft, which argues that it’s not until the eleventh draft that any work of literature truly comes together. The photograph in this posts features all the versions of my current novel which has finally arrived, after a year of lost nights, at a stage in which the foundation and narrative arcs are solid and clear. After a summer missed completely I’m now only weeks away from submitting it to my incredibly encouraging and supportive agent. A year has passed since I started this process. The physical toll its taken on me is clear, but the months of sunny days and restful nights I’ve sacrificed to say something true are worth it. That is the bargain we make as writers. We serve the work, even if it means sitting alone as the seasons pass in a window-less room, only holding out hope the smallest hope that one day, soon and ever in the distance, all our struggle will be rewarded. 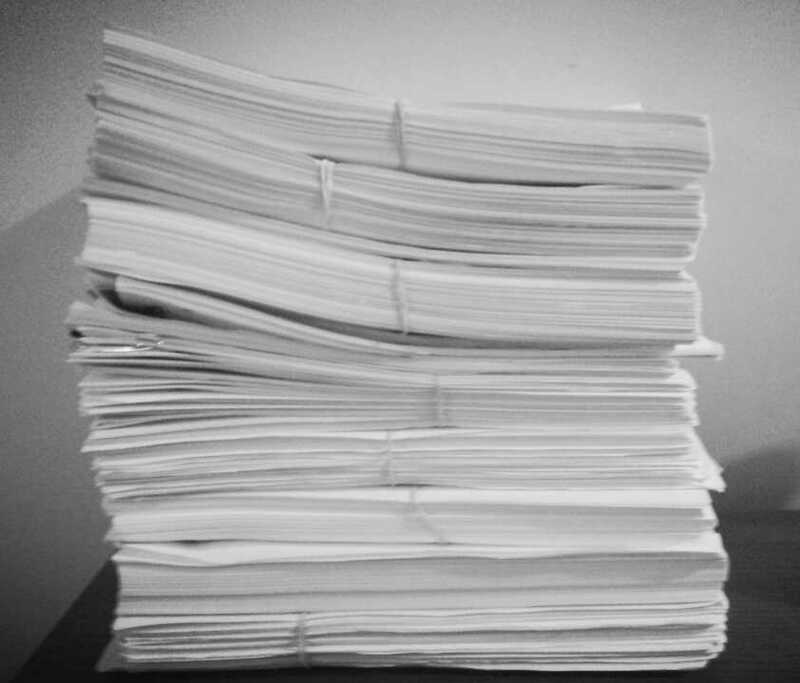 My stack of drafts, each one building and improving on the last, might not be as stunning as Spalding Grey’s “monster in the box,” but it is a testament to the investment I’ve made to share a story that’s been on my heart. I finished the 10th draft of Dream Kids at the end of August, and with only a few plot points to strengthen I hope soon to be able to lay down my arms, bury myself in books, and recuperate until the next battle begins. There are always more books to write, characters speaking to me before sleep who want a voice, and after the world cools to Autumn I’ll do my best to allow them their say. During the last two months I’ve not only been working on the final edits of my novel, but have also been fortunate to be selected as a featured author at several literary events. Writing is like a kiss in that you can’t do it alone. You have to have the grace and attention of readers, and I’ve been fortunate throughout this year to be given that gift. Last week I was the featured fiction author at The Rising Literature, Art, and Music series at the historic Black Acres Historic Homestead outside of Louisville, KY, and in a week I will be a featured author at Cincinnati’s largest literary event Books by the Banks. 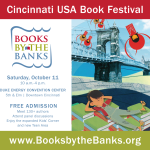 If you near Cincinnati on October 11th I’d encourage you to come down. I’d love to see you, and will be signing copies of my latest book Roller Girls Love Bobby Knight which won the inaugural Deerbird Novella Prize from Artistically Declined Press. The fight to offer something meaningful on the page is long, and depends on both dogged self-determination as well as the fear of leaving something vital unsaid. I’m tired and bruised, but still moving forward. One day soon this book will be finished. I’ll be worn through, terrified that I can’t do what I’ve done before, but eventually will find myself locked up hitting keys until I find my way into the next new battle to create a lasting work. If nothing else I’ll have a stack of drafts that will have a gravity of their own.